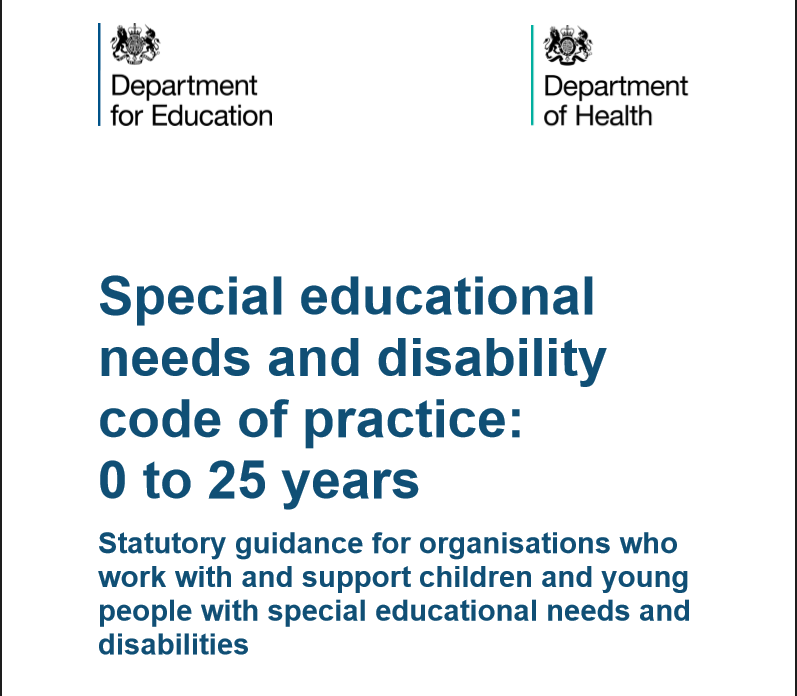 Special educational needs and disability code of practice: 0 to 25 years. 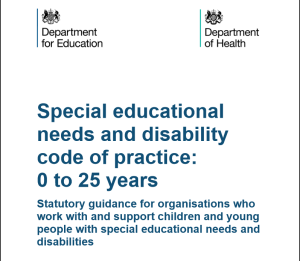 In June 2014 the Government brought into law the new Special Educational Needs and Disability Code of Practice: 0 to 25 years. 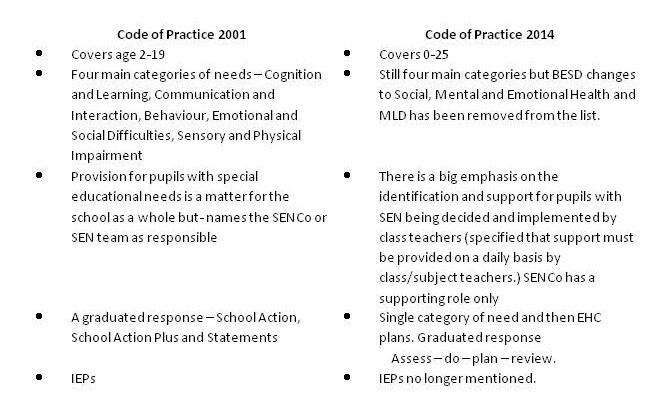 This new code of practice is the biggest change in special needs education in over 30 Years. But why are things changing? It is statutory guidance on duties, policies and procedures relating to Part 3 of the Children and Families Bill. What are the changes important to schools and Parents? ♦ Teachers must make sure that every pupil makes progress, even those supported by specialist staff. Linked to PM targets – can you identify SEN and support those with additional needs? Parents know their child best…there is an expectation that LA’s place parents and young people at the heart of the processes and decisions. ♦ Local offer – Local Authorities and Schools need to sell themselves and inform parents of what they do to support children with SEN.
♦ Before providing a child or young person with the Additional SEN Support, a rigorous assessment of SEN should be undertaken by the school using all available evidence/data sources, such as attainment and historical data, the child or young person’s development in comparison to their peers, information from parents and, if relevant, advice from external support services.